What Are Your Hands Saying About You? Posted by Joyce with Comments Off on What Are Your Hands Saying About You? Like your face, your hands are a big part of first impressions. You shake hands when you meet someone for the first time and when you greet friends. Your hands express your affection to those you love. Avoid hot water and antibacterial soaps: Antibacterial soaps aren’t usually necessary and may dry out your skin. They also kill good bacteria on your hands and encourage bad bacteria that resist antibiotics. 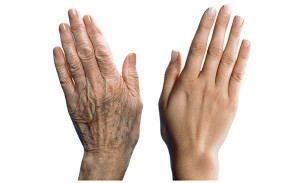 Don’t use hot water to wash your hands, use tepid or cool water, rinse hands well and dry by patting or blotting gently. Don’t rub. Pamper your hands: Treat rough skin with a homemade oil and sugar scrub. Mix together ¼ teaspoon each sugar (brown or white) and olive or coconut oil and massage into the backs of hands once a week. These oils are a wonderful source of moisturizing omega-3 fatty acids, and the sugar buffs away rough patches. Seal in the moisture: Smooth on lotion after washing hands at night to take advantage of the moisture. Many lotions are water based, but try a cream for night time care. Creams are thicker and longer-lasting than lotions. Most creams are water-based, but folks with extremely dry skin may want to use an oil-based cream. 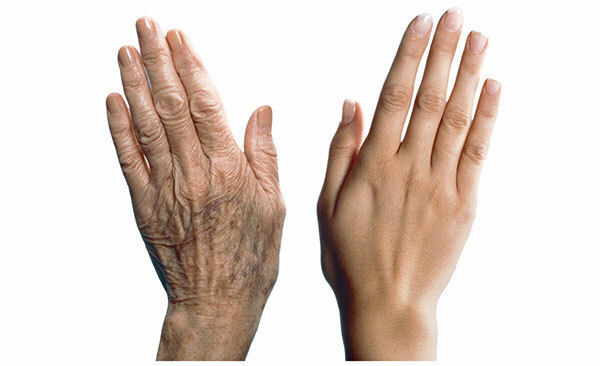 Oil will hold water inside your skin longer. At Privy Skin Care, we treat all your skin, not just your face! For questions, or to book an appointment, call us at 702. 496.2066, or visit www.privyskincare.